LASIK has proven to be one of the best treatment options for people with refractive errors. Even so, a lot of misleading information about the surgery has made the rounds, preventing people from visiting their optometrist and learning if they are candidates for the procedure or not. This article takes a look at the common myths of LASIK surgery and the truth behind those myths. The procedure takes about 15 minutes for both eyes. Before the procedure, the eye surgeon will apply anesthetic eye drops to numb the nerves. Most patients who have undergone LASIK report not feeling anything during the operation. A brief sensation of pressure can be felt for the most part, especially during the reshaping of the eye. In all, LASIK is painless. Not all patients with refractive problems are qualified to undergo this procedure. As such, it would be necessary to visit an eye center, where an eye doctor can conduct an evaluation. Apart from a comprehensive eye exam, you may also have to undergo screening to spot any existing condition that might affect the results. That is not the case at all. 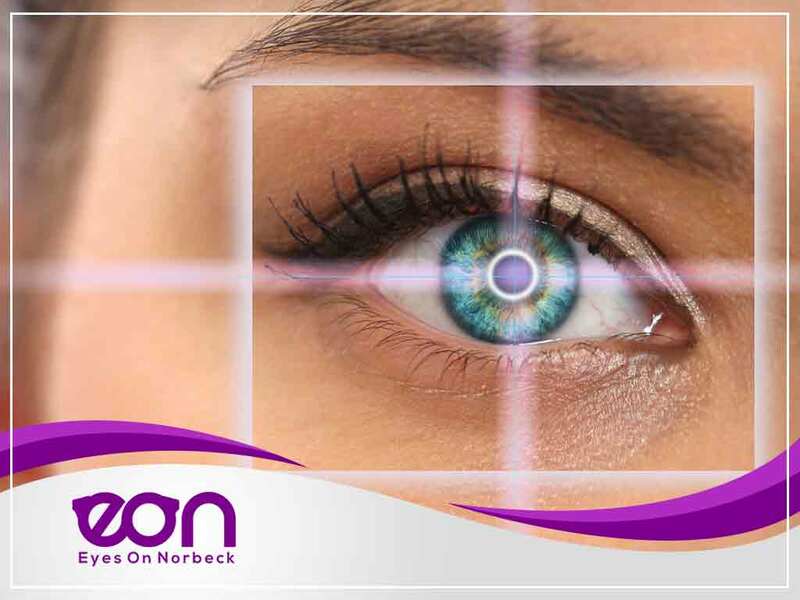 LASIK can correct all refractive problems of patients, including hyperopia and astigmatism. Other surgery options are available in severe cases. The goal of LASIK is to lower your dependence on corrective eyewear, including eyeglasses and contact lenses. It is worth noting, however, that the procedure does not prevent the gradual and eventual changes in your eyes due to aging. At some point after reaching the age of 40, you may experience eyesight problems that would require you to use reading glasses, similar to other people advancing in age. Don’t let these myths deter you from visiting your eye doctor to learn if you are a prime candidate for LASIK. At Eyes on Norbeck, we will discuss what you can expect before, during, and after the surgery. If you are indeed a candidate for LASIK, our eye care pros can help manage your condition post-surgery. Give us a call at (301) 241-0553 for more information. You may also fill out our contact form to schedule an appointment. We serve Potomac, MD and surrounding areas.